G A L L E R Y 106 is delighted to announce a group exhibition titled “CLOSE UP: Ethereal”. Participating artists are Sarah Ollerenshaw, Angelika Spranger, Rose Long, Ale Dini. 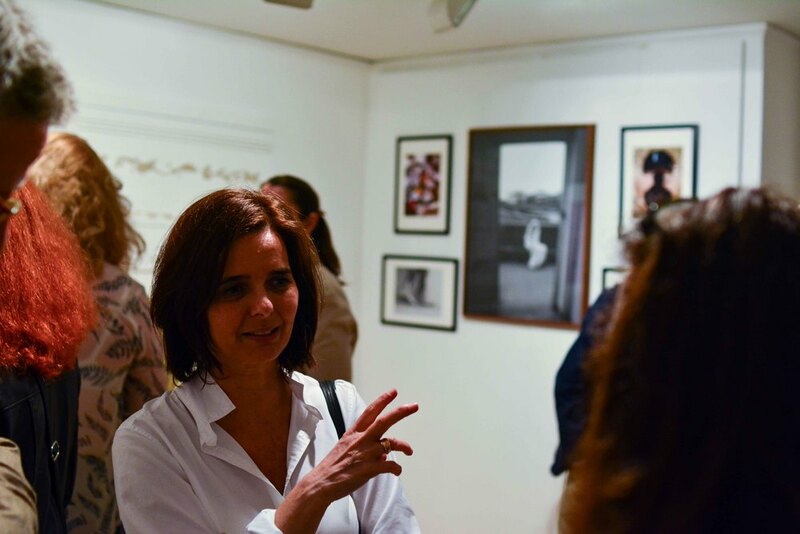 This exhibition celebrates artists based in Fulham and is an integral part of the Hammersmith and Fulham Arts Fest. The artists participating in this exhibition found inspiration in the life that surrounds them, depicting the world by using well-balanced colours, and carefully chosen objects of attention; whether using brush or camera, through narrative about the nature, home and memories, they strive to create sense of harmony and belonging. Sarah Ollerenshaw contributed to this exhibition by bringing the painting from her series of “At the heart of the Blue Woods”. Depicting nature at its best, using the colour of spring, Ollerenshaw is indicating the significance of meditative times. Her art may take the viewer on the journey towards the early childhood memories, reminding of the physical spaces available for refuge from the reality of everyday life. Sarah Ollerenshaw is an artist with a background in fine art restoration. She studied Spanish and History of Art at Birmingham University and then took a postgraduate diploma at Christie’s, which in turn led to an apprenticeship in restoration and conservation. Throughout her studies and restoration work, she has always painted. She has recently finished a two-year stint as artist in residence at a prep school in Fulham. She paints (now full-time) and is a mother to two wonderful children. Angelika Spranger presents her series of photographs mainly from her opus titled “DNA”. Her focus on water can be understood as a metaphor for the creation, the essence and fragility of life captured in a moment of time. She reminds us of the need for appreciation towards nature’s unbroken generosity. Spranger studied Art for Public Space in London, where she gained her BA (Hons) degree. She specialised in Photography. Her preferred subject matter is nature with a particular passion for water. She takes its patterns and shapes in its true colours without manipulation. Other art practices include printmaking, stained and leaded glass. 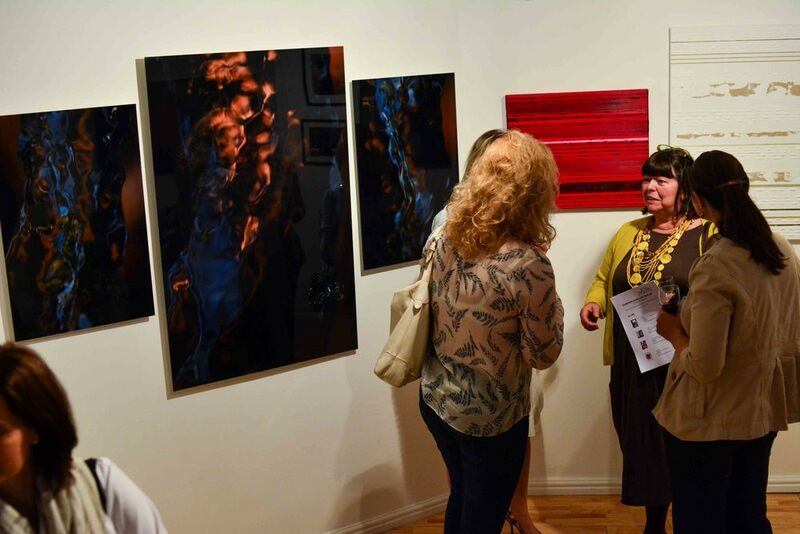 Spranger shows her work at galleries and art fairs in London, and biannually exhibits at Wimbledon Art Studios’ Open Studios Art show. Her work features in private collections in Austria, Germany, The Netherlands, New Zealand, Saudi Arabia, and Singapore as well as in the UK. Angelika’s work is available as limited edition prints in different sizes and finishes, from Lambda and Giclee prints to prints on aluminium, for both indoor and outdoor spaces as well as custom design installations. Rose Long has contributed to this exhibition with four paintings that are most representative of her colour, style and technique that she currently uses in her art practise. From precise line to complete abstraction, impassioned with colours from nature, with a great sensitivity she creates a feeling of order in landscape while she stays true to her authentic style. She instinctively creates the space between the defined and the non-figurative allowing the viewer to create their own experiences within. Long examines colour and tone together with the texture, form, edge, shadow and layering of paint on canvas to emphasize the convening of paint, air, form and canvas. Rose Long is an artist and architect. She paints in oils and acrylic. Brought up in South Africa, she lives in London since the mid 1980's. She has practiced as an architect since the early 1980's and continues to do so, while concentrating increasingly on painting. She has discovered a passion for painting in oils as it allows a freedom of expression she has not yet found in another medium. She exhibits widely. G a l l e r y 106 is a Not-for-profit organisation that provides a platform to explore, create and present contemporary art and new forms of expression. For more information, please visit www.gallery106.org.uk or send email on info@gallery106.org.